School is out for the summer, and stepbrothers Phineas and Ferb have decided to make each day an adventure! Their bold escapades always end up cramping the style of their sister, Candace, who makes every attempt to expose Mom to what is really going on, but somehow always seems to fail. Meanwhile, the family's simple-minded pet platypus leads a double life as secret "Agent P" and faces off with the evil Dr. Doofenshmirtz to save the world. 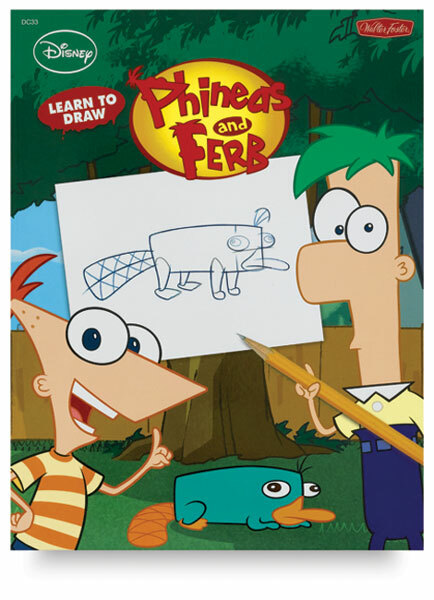 Ranked the #1 animated program for children (especially boys) between the ages of 6 and 14, and the #1 ranked program on The Disney Channel, Phineas and Ferb has captured the interest of 75% of this demographic. 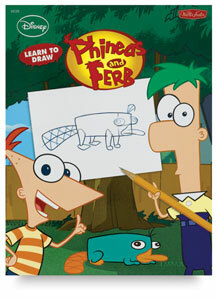 Now young fans can enjoy learning to draw all of their favorite characters from this animated show using an easy-to-follow step-by-step method of instruction. This beautifully illustrated, full-color 64-page book also features a brief synopsis of the show and professional tips from real Disney artists. Author — Disney Storybook Artists. ® Walter Foster is a registered trademark.® Disney is a registered trademark. ® Disney-Pixar is a registered trademark.